As you are probably aware, Hurricane Michael is heading to the Panhandle area of our North region in the next few days. This Hurricane has, and will disrupt many families, including Adventist families. 1. Please make this potential disaster a matter of prayer as of today. 2. Please ask your members to make donation of non-perishable foods. And collect and hold them in your church facility. The regional coordinator of ACS will be contacting your church director of ACS & DR and arrange for pick up of the foods and water you may have. I will have the goods trucked over to our sister conferences that are affected within 2 weeks of the disaster. 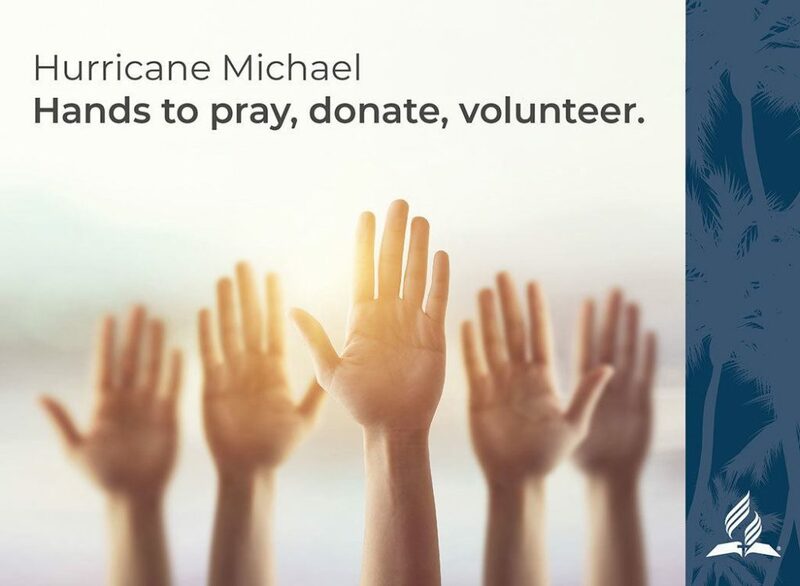 Cash and any monetary donation must be sent through your local church treasurer to the Florida Conference marked Michael Disaster. 3. If you have members who want to volunteer in the post-Hurricane disaster recovery please submit their names and contact to Conrad Duncan 407-637-0319 , and Maria Matos 407-644-5000. Thanks for returning the courtesies Florida received from the other Conferences during our disasters a year ago.